Whatever you choose to call those of us who live here, I also call us fortunate. Friends of mine have often said I should work for the Flagstaff Visitor Center or Chamber of Commerce since I'm such a fan of my adopted home. And it's true; as a New England transplant who's been living in this mountain town for the past decade, I see many more features in the pros column than in the cons when it comes to hanging one's hat (and possibly walking sticks or bike helmet) here in "Flag." Sure, like most any locale, there are things about this community that would fall into the cons category, but I say they're far outweighed by the great aspects of living here in the midst of the Coconino National Forest just a couple of hours from Phoenix and 90 minutes from Grand Canyon. I'd like to share some of my favorite parts of being a Flagstaffian in case you're considering relocating to Flagstaff, either full-time, part-time (how about that second home? 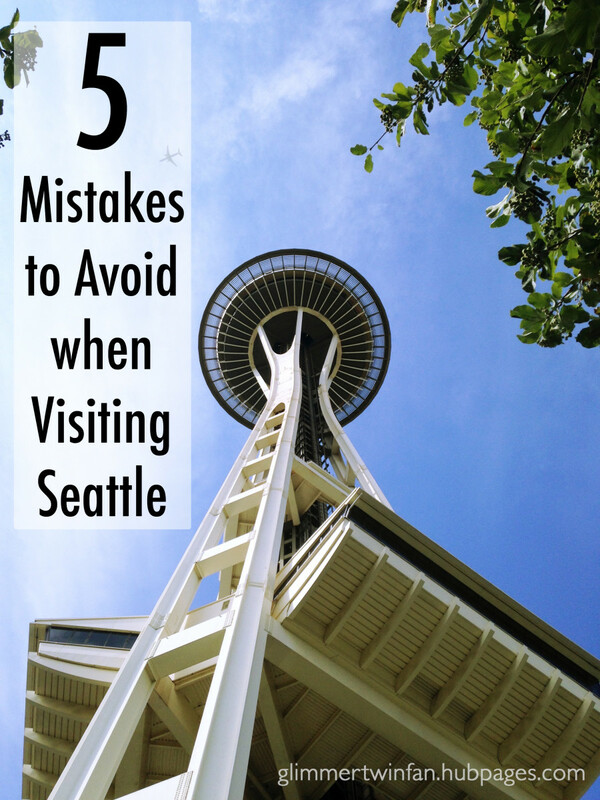 ), or just for a visit. Scroll down for details! Close Proximity to "The Grand Circle"
Though I like to refer to Flag as a mountain town, it is really a small city if you go by population, which is somewhere in the neighborhood of 65,000. Students make up a large part of that number, and while some folks aren't always thrilled about the plethora of college students wandering, driving, and sometimes partying around town, there are definitely benefits to having a university in the community. One of the biggest advantages is the variety of additional cultural activities, entertainment, athletic events, and extra-curricular educational opportunities that institutions of higher learning provide. Here in Flagstaff, we have both Northern Arizona University (NAU) and Coconino Community College (CCC), offering everything from plays, concerts, and symphonies to interesting lectures, contra dancing, film series, and other special events. So, pick up a free Flag Live, available in many locations around town including the lobby at Bookman's, look through the Arizona Daily Sun's Calendar of Events, or check Flagstaff 365 and choose "Art," "Music," "Seasonal," or "Festivals" to see what's going on around town. You can also check the University Events Calendar for even more options. Just don't ever say, "There's nothing to do in Flagstaff." 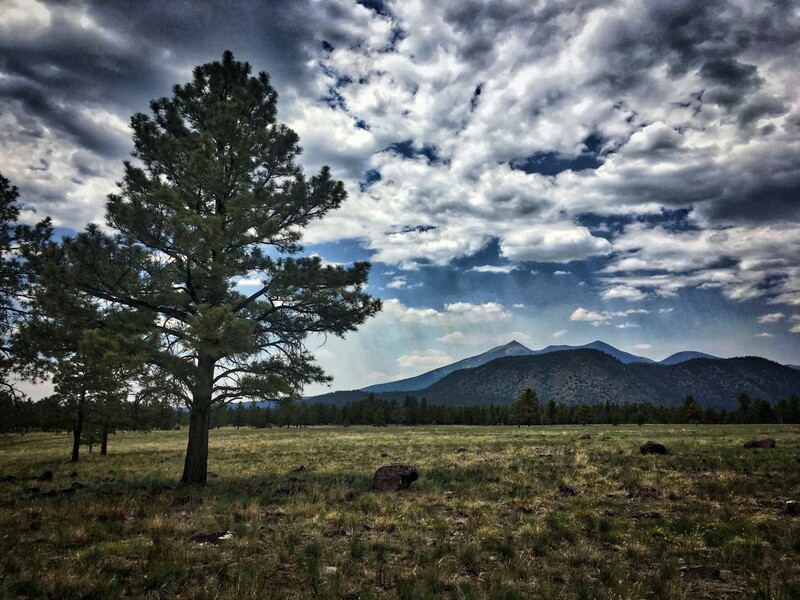 Flagstaff is surrounded by lots of open space and breathing room, where you can get away from it all for a quiet walk or hike, a picnic, camping, hunting, fishing, or just relaxing and enjoying the fresh air and beautiful views. 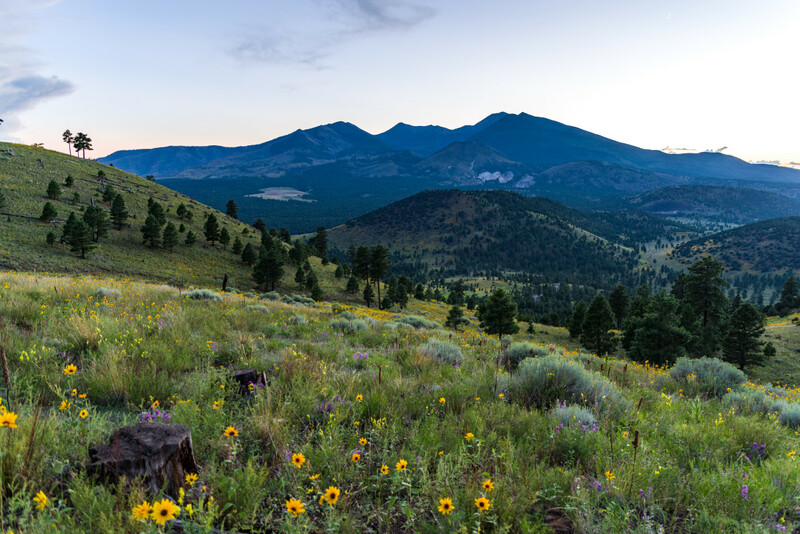 With the largest contiguous ponderosa pine forest in the world, plentiful wilderness areas, and other public lands, Flagstaff has no shortage of places to explore. Unlike where I grew up back east, where one town seemed to run right into the next, Flagstaff has a sort of buffer zone between it and the rest of the world. It is separated from other communities by expanses of National Forest lands, mountain peaks, canyons, BLM land, and other areas where you're free to wander, play, pitch a tent, and otherwise enjoy nature to your heart's content (while respecting the rules in place for the good of the land and all of those who use it). Flagstaff is surrounded by the 1.86-million-acre Coconino National Forest, which is part of the most extensive contiguous ponderosa pine forest in the world. It's also one of the most diverse national forests, with landscapes ranging from high peaks to deep canyons and an impressive variety of flora and fauna. What's more, several other national forests surround Coconino, providing nearly endless opportunities for exploration and solitude. I like knowing that even though there may be lots of people, traffic, and activity going on in town, the solitude of the backcountry is just a short drive or walk away. 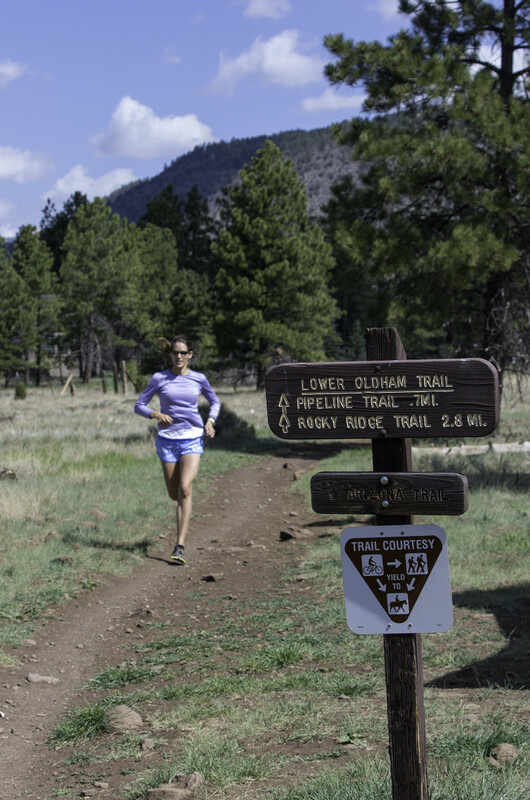 In addition to a large variety of backcountry hikes, from easy strolls through forests and meadows to strenuous trails that lead you up to amazing views after you've done some "gaspin' in the aspen," Flagstaff also has an extensive urban trail system (known as FUTS) in and around town. This network comprises more than 50 miles of smooth, wide paths—both paved and unpaved—for walkers and bikers, and provides ample access points along the way. There's also a 42-mile Flagstaff loop, which is still in progress in some sections, that links together existing trails to circumnavigate the city. In the winter, these same trails and the meadows turn into great opportunities for many miles of pristine cross-country skiing and snowshoeing under bright blue or moonlit skies. Make Room on Your Shelf for at Least a Few of These If You'll Be Living in Flagstaff! There are a LOT of trails in the area, so I highly recommend picking up a guide—especially this one. Mine is well-used. Written by local hikers and historians, the Mangums, this book is kept up to date, now with GPS coordinates, color photos, maps, detailed trail descriptions, and more. If you love to ride, this is a really handy and popular guide, put together by a well-known local cyclist called Cosmic Ray. This guide is not only informative—with route descriptions including distance, time, effort and skill required, the best season to ride, level of route finding skill required, contour profiles, and 'fear factor'—but it's humorous too, which is fitting if you know Cosmic Ray. Just don't rely on the simple, hand-drawn maps in this book. They give you an idea and overview of where you're going, but best to bring a regular National Forest or topo map. Don't Leave Home Without a Map! This durable, water-resistant topographic map goes with me every time I hike around Flagstaff. The map includes helpful trail elevation profiles and summaries. I'm actually on my third copy, because I wore out the first one, then loaned out the second and never got it back. I've run into many people who think warm and hot when they think of Arizona, but here in our little city at 7,000 feet above sea level, we have plenty of cold and snowy days too. 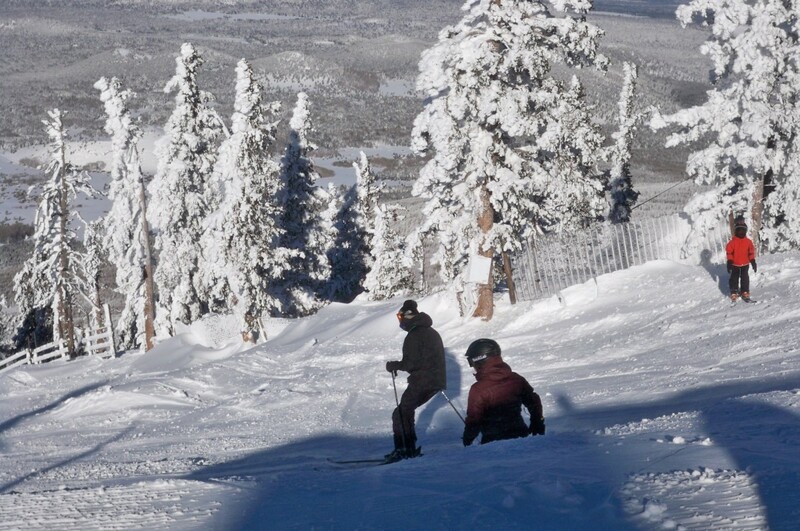 In fact, Flagstaff experiences four distinct seasons, sometimes with a lot of white stuff in town and even more up on the San Francisco Peaks, where you'll find the Arizona Snowbowl ski area and the Nordic Center. While it can get very cold in the winter, we're treated to lots of blue skies between snowfalls, making this a truly stunning winter wonderland. On the flip side, Flagstaff has beautiful summers with warm but usually not extremely hot days, which is why so many Phoenicians come 'up the hill' to cool off when the mercury climbs well over 100 degrees down in the valley. That's another cool thing about living in Flagstaff; if it's a bit too cold for you here, drive just an hour and peel off some layers when you get to Sedona, which is a couple thousand feet lower. Another hour south, and you might be very comfortable in shorts. In Flagstaff, you can ski in a down jacket and then swim in an outdoor pool in the same day without ever getting on a plane. By the same token, you can go from a scorching 115 degrees Fahrenheit to a very comfortable 80-something degrees in that same couple of hours if you come up to Flag from the city or other lower elevations not far from here. 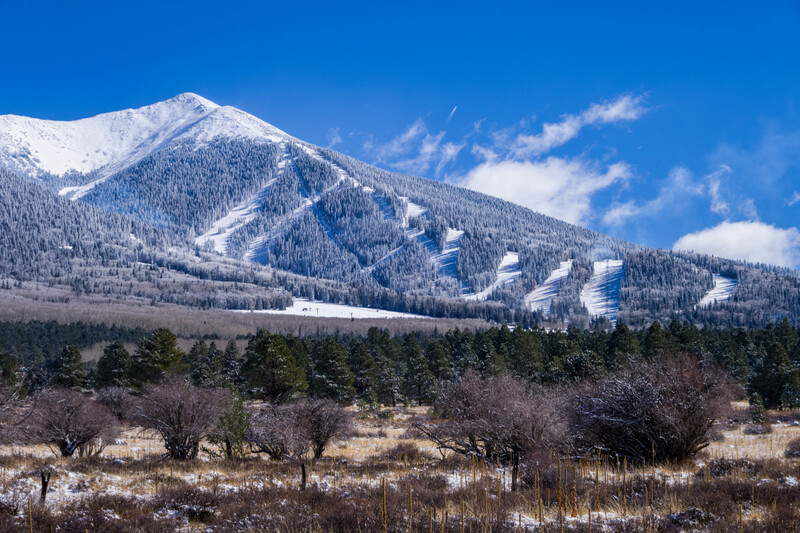 There's a big difference between the tops of the San Francisco Peaks here in Flagstaff and the bottom of the Grand Canyon, with an elevation span of 10,000 feet. In fact, there are six different life zones, or altitudinal vegetation zones, between the summit and the bottom of the canyon, which are much closer as the crow flies. There's also a route between the two points that's about 80 to 90 miles long, which some folks actually run. 5. 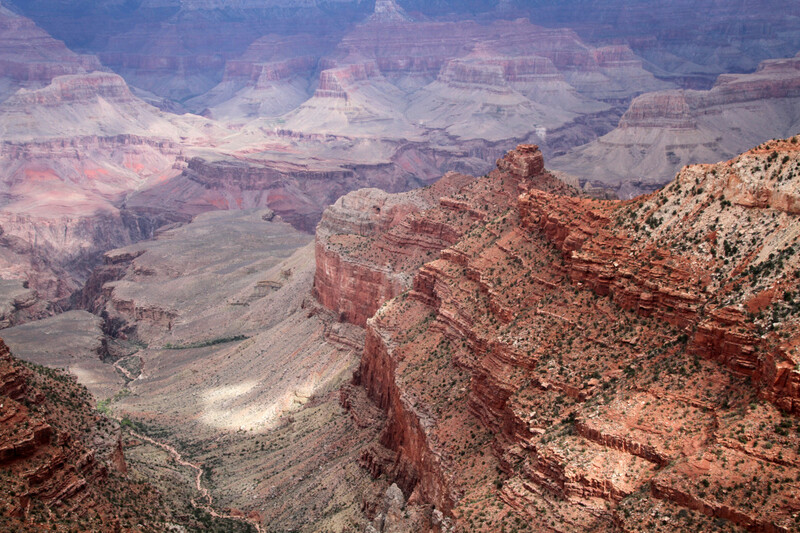 Close Proximity to "The Grand Circle"
The "Grand Circle" is a region spread across portions of five states in the Southwest where you'll find the highest concentration of national parks and monuments in the country—including the Grand Canyon. Flagstaff is conveniently located within this area. The South Rim of Grand Canyon National Park is just a 90-minute drive from here, so whether you love to hike in and around it, photograph or paint it, or simply sit and look at it, you can do so to your heart's content if you live in Flag. Plus, it's great being able to visit the canyon during all seasons and experiencing the changes in that incredible landscape throughout the year. 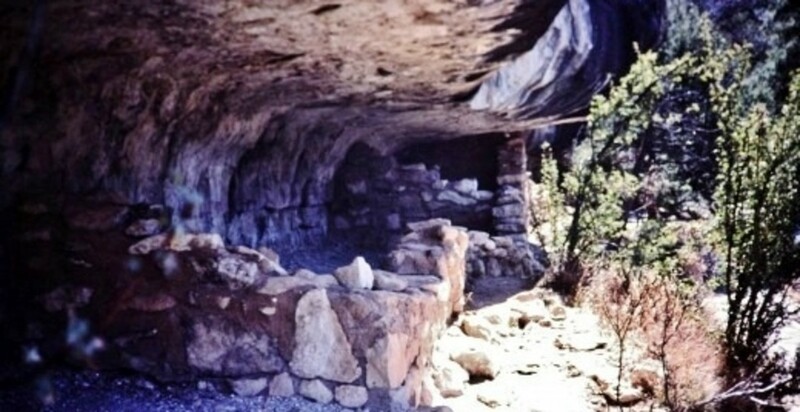 Flagstaff is also in close proximity to a number of other national parks and recreation areas, including Wupatki and Sunset Crater Volcano National Monuments, Walnut Canyon National Monument, Lake Powell, Glen Canyon National Recreation Area, Tuzigoot and Montezuma's Castle National Monuments, Lake Mead, and Petrified Forest National Park. 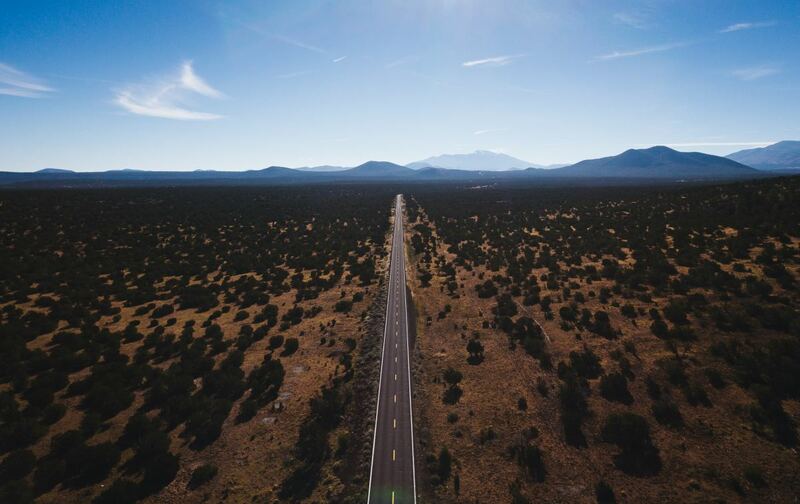 Moreover, Flagstaff is within an easy day's drive of a number of other National Parks, including Zion, Bryce Canyon, Capitol Reef, Arches, and Canyonlands in Utah; Black Canyon of the Gunnison and Mesa Verde in Colorado; and Saguaro National Park to the south here in Arizona. So if you buy an annual "America the Beautiful" Parks Pass, you can put it to good use and get way more than your money's worth without going very far from home. Ft. Tuthill County Park is a massive 413-acres and has multi-use trails, fairgrounds, picnic ramadas, athletic courts, a campground, and a horse arena, as well as the Flagstaff Extreme Adventure Course and Pine Mountain Amphitheater, where outdoor concerts and festivals are held throughout the spring, summer, and fall. Buffalo Park is another large public space and provides a beautiful view of the San Francisco Peaks. It has picnic areas, access to a network of backcountry trails that lead into and around the peaks, and a two-mile loop trail (with fitness stations along the way) for walkers, runners, and bikers. Smaller parks throughout the city include Thorpe and Wheeler Parks, both in the downtown area, Bushmaster and Fox Glenn Parks to the east, and Ponderosa Trails Park to the south, among others. For a full list of county, community, and neighborhood parks and the amenities you'll find there, check out the City of Flagstaff official website. While it can take some getting used to when you first come to Flagstaff—particularly if you've been living at or near sea level—living at 7,000 feet, with opportunities to hike up to 12,633 feet in the nearby mountains, has its cardiovascular benefits. I'd say it took me about three weeks after moving to Flag before I stopped huffing and puffing when walking up a long flight of stairs or a hill. Jogging took me even longer to get used to, and I remember feeling like I was dragging concrete feet along my relatively flat route. Now, though, when I go down to the valley or travel to other lower-elevation places, it feels like there's so much more air. I have a noticeably higher level of energy when hiking, jogging, climbing steps, or doing any other physical activity, thanks to living where I do. That's why so many athletes, including Olympians and professional athletes, come to train here—to reap the benefits of the altitude. To find out more, read Celebrating High Altitude Training in the Flagstaff Business News. If you like some fun competition, whether just to challenge yourself or to race against others, there are a number of opportunities to do so here in Flag. We have everything from short 5Ks to full marathons, with an annual summer running series, fun runs at Buffalo Park and other locations around town, and even a Mountain Man Olympic and Half Iron Triathalon. You can check the Northern Arizona Trail Runners Association calendar to see what's on the schedule. If you happen to be an amateur astronomer with your own telescope, or just like looking up at the stars, you don't have to head far out of town to get a good view. 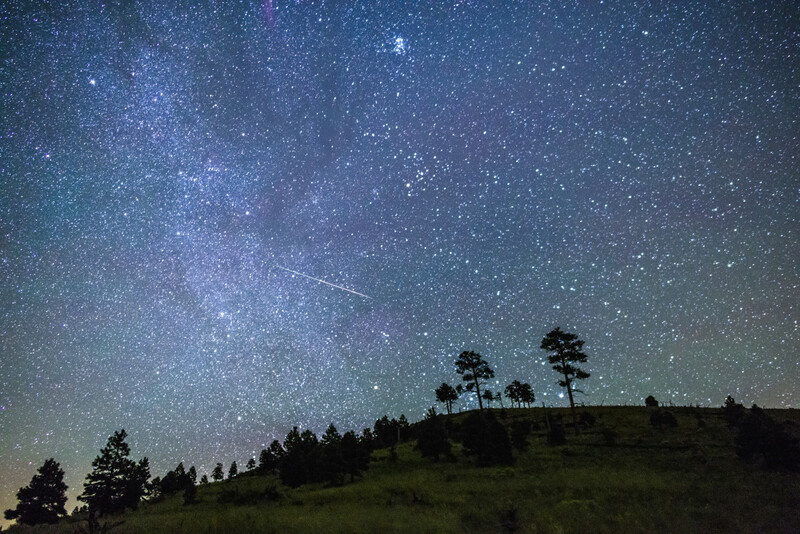 In fact, you can stay right in downtown Flagstaff, the world's very first International Dark Sky City! This designation was awarded on October 24, 2001, by the International Dark Sky Coalition. Being a Dark Sky City means keeping light pollution to a minimum and putting regulations in place for the use of outdoor lighting for homes, businesses, and municipal streets and buildings. Flagstaff is also the home of Lowell Observatory, where Pluto was first discovered. Located on Mars Hill near downtown, Lowell is a fun and educational—not to mention beautiful—place to visit. It is an active research facility with a visitor center, guided tours and lectures, special programs for kids and adults, and several telescopes, big and small, available for public viewing. Lowell's Discovery Channel Telescope is located at a separate site about 40 minutes from Flagstaff in Happy Jack. 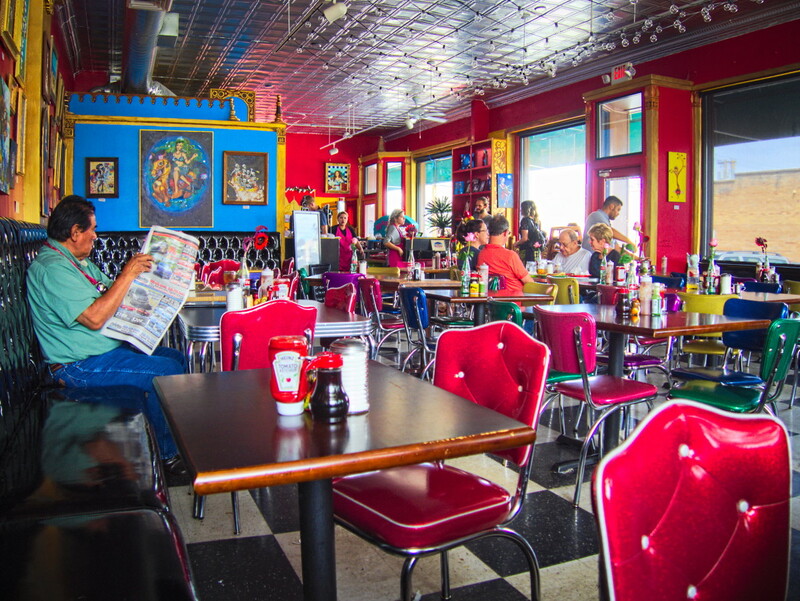 Of course, there are also plenty of eateries serving southwestern and Mexican food, along with a lot of Chinese, some Greek, Italian and Mediterranean, and good old American-style meals. There are also a number of chain restaurants around, from fast food joints to familiar restaurants like Olive Garden, Chilis, and Red Lobster, along with lots of mom and pop places and gourmet restaurants. And there's plenty of pizza to be had, from your basic cheese and pepperoni pies to wood-fired, specialty pizzas with all kinds of interesting toppings. Then, when you're done with your main meal, you can choose from several frozen yogurt and ice cream shops around town to top it all off. Yep, there are a plethora of places to dine in Flagstaff. But regardless of whether you choose burgers and fries or gourmet, you can pretty much always go casual and comfortable around here. Want to Go out to Eat in Flagstaff Today? Organized by the type of food they offer, from the best burgers in town to fine dining, these are my picks for some of the top places to spend your money when eating out in Flag. If the weather is just right and eating outside is what you prefer, there are plenty of choices here in town. I've tried to cover them all (to date) and arrange them for you to make it easier for you to find what you're taste buds are looking for. If you prefer natural or organic foods, locally grown produce, alternative "green" energy, reducing, reusing and recycling, riding your bike rather than driving a gas-powered car—you get the picture—then Flagstaff is one small southwestern city that will support your lifestyle well. 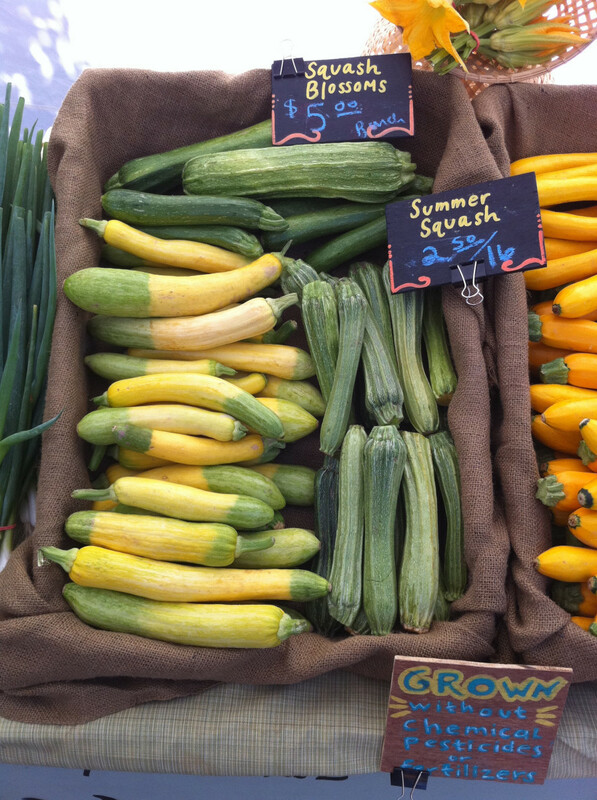 With three sizable natural food stores, a fourth dedicated to fresh produce, and two farmer's markets from May through October, as well as organic sections in the major grocery stores (and there are a lot of those here for a place of its size), there's plenty available for those who value that type of food. There are also co-ops available, such as Bountiful Baskets and the "Here's To Health" Raw Milk Co-op (with yogurts, cheeses, and vegetables too). Through its Sustainability Program, Flagstaff also offers curbside and drop-off recycling, promotes energy conservation and rebates, hosts several community gardens around town, and runs programs to promote and facilitate the use of solar energy. Coconino County, of which Flagstaff is a part, even has its own Sustainable Building Program, with resources, educational programs, and a citizens advisory committee related and dedicated to green building. Flagstaff promotes environmentally friendly and healthy living in other ways too, such as encouraging cycling with its bike trails and annual "Bike to Work Week," annual Earth Day activities, and programs for kids and adults at the Willow Bend Environmental Education Center. If you'll be building a new home or business in Flagstaff or remodeling an existing one, you'll find a number of highly recommended green builders in the area who, for example, specialize in Energy Star certified construction and straw bale construction. Overall, this is definitely a community with the environment and healthy living—both for citizens and the planet as a whole—on its collective mind. So if that's part of your mindset and lifestyle as well, you'll surely find plenty of friends here who share those values. When it comes to choosing a place to call home, there are countless great cities and towns, each with their own special features, personalities, and things to brag about. It just depends what you're looking for and what's important to you, what types of things you like to do, and practical considerations like schools, the cost of real estate, and employment opportunities. For me, Flagstaff just fits... really well... and it's also the place where I met the love of my life and his wonderful family, which of course only serves to increase my love of this town. There are many places I've lived and visited that I could easily call home, but for me, as far as I can tell, it'll be Flagstaff for the long haul. If you have any questions about Flag, please feel free to ask them in the comments section, and I'll do my best to get you the answer. 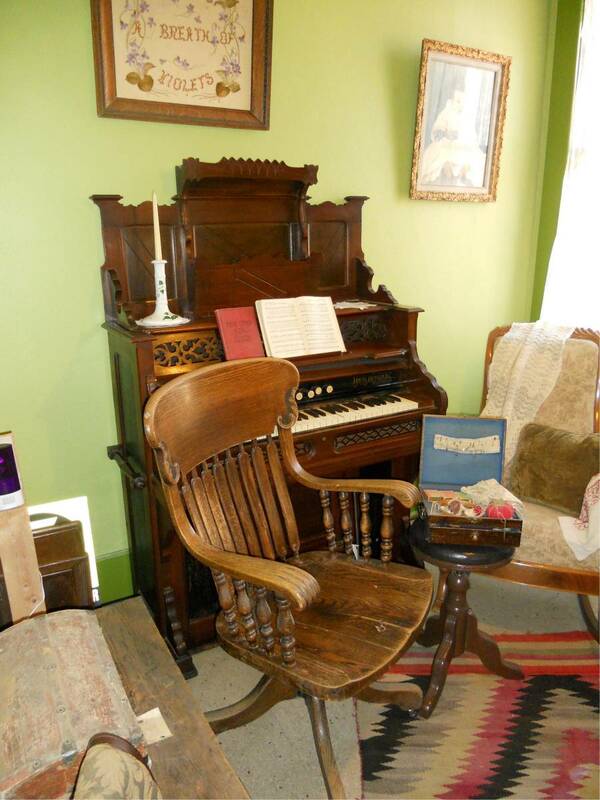 One of Arizona’s favorite tourist sites, there’s a lot going on in this small mountain town that will make you want to stay for a good long while. If you're seriously contemplating a move to Flagstaff and need more detailed, practical information on things like schools, employment, services, and other aspects of our community, I would start with a visit to the City of Flagstaff Official Website and Flagstaff Chamber of Commerce. What snakes live in Flagstaff? Are there jobs in Flagstaff, Arizona? It depends what kind of work you do, or want to do. There are a lot of service-oriented jobs, including restaurant service, and retail jobs. I think there are usually also a good number of skilled labor/trade type of jobs. But I've often heard there is a lack of higher-paying, "white collar" employment. Being self-employed and working from home, I personally haven't looked for work here in a long time, but this is a "college town" and a town -- small city, really -- without a lot of large employers or big industry. We have Gore, the hospital, the university and Purina as some of the larger employers here. I do think, though, if you're planning to move to Flagstaff, it's a good idea to have a job already lined up before you do or some type of self-employment or investment income. Thank you for the informative writeup of Flagstaff, Arizona. One thing you did not mention was water! Are there any rivers or lakes nearby? Like much of Arizona, there isn't a lot of water in and around Flagstaff. 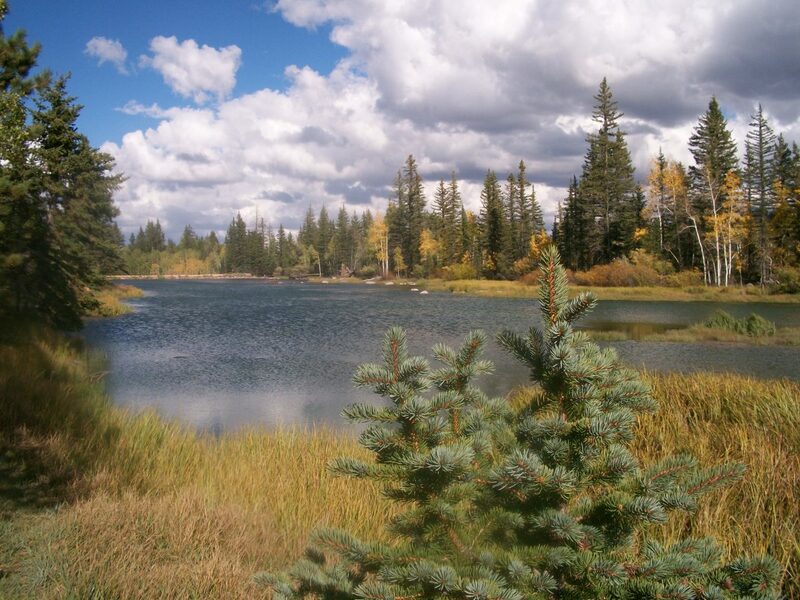 But we do have Lake Mary (water levels fluctuate quite a lot, especially in Lower Lake Mary) and Ashurst Lake, which is about 25 miles from downtown Flagstaff. Mormon Lake, which is about an hour away, often has very little actual water, so it's more like a marsh or "puddle." There are some other small lakes further out (Long Lake and Kinnickinick Lake) and Oak Creek between Flagstaff and Sedona. Of course, there's also the Colorado River, but that's at least a 45-minute drive to Marble Canyon or about 90 minutes to Grand Canyon (where it's a long way down to the river from the rim). Does the large range in temperature daily change gradually or does it just get cold late at night in Flagstaff, AZ? As Flagstaff is a low-humidity environment most of the year, there's usually a pretty big difference between daytime and nighttime temps--often as much as 20 degrees or more. However, it doesn't always get cold at night. In the summers, nighttime temps are usually very comfortable--often in the 50s or 60s. Early morning, pre-dawn is usually the coolest/coldest time. 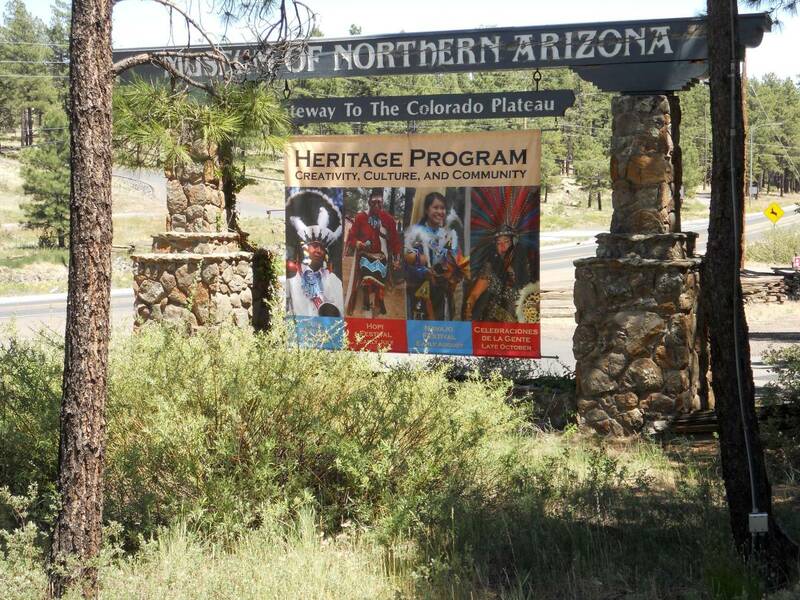 Do you think Flagstaff, Arizona is an area that is welcoming to retirees in their early 60s? Does it have good medical care? My parents moved to Flagstaff when they were in their 80s, and I know they felt very welcome here. I do also know quite a few people in their 60s and beyond who are very happy living in Flagstaff. As far as medical care, it's difficult for me to say for sure. I've been fairly satisfied with my own, but then again, I haven't had any major health issues or medical needs. Both of my parents received quite a lot of care at Flagstaff Medical Center, and I know they were treated well both personally and professionally. On the other hand, I also know people who've chosen to go down to Phoenix for medical treatment or who've done so out of necessity, if it's been for something they can't get adequate treatment for here in Flagstaff. Is Flagstaff, Arizona a very dog-friendly town? I think of it that way, yes. Some stores, including larger chain stores and mom-and-pop places, allow leashed dogs inside, and some restaurants allow dogs in their outdoor seating areas, or at least right outside of them in some cases. You always see people walking their dogs around town, on the urban trail, and on the forest trails, but like in most places, there are leash laws/ordinances. There are also several dog parks around town and some within neighborhoods. How is the kayaking in Flagstaff, Arizona? I don't need class V rapids, just looking for lakes and stretches of river that are not too wild. There's not much right around Flagstaff, except some paddling on Upper Lake Mary. You could go south to Camp Verde, to kayak the Verde River, or east to Winslow for flatwater kayaking on East Clear Creek. Those are probably the closest places. Further out--a few hours away--would be Lake Powell in Page and Roosevelt Lake and the Snake River. We have located a house we are considering buying. We really need to have a work shop built on the property and need some type of ballpark figure on what that might cost to build. Preferably Green Built with Solar. I have put calls into 5 different construction companies but yet to get a callback. Do you have any suggestions or any idea on what it costs to build? Ballpark figure? The building would be about 2,000 sq ft. and needs to have plumbing also. I'm sorry, no I don't. But considering the type of building you're looking for, you might want to contact the Coconino County Sustainable Building program and look at their list of recommended contractors. If you Google it, you'll find it on their page on the county website and can download it. Also, if you haven't already tried them, I do recommend Hope Construction. I'm looking to relocate to Flagstaff from Tucson, AZ this summer. Do you have any tips? Also, what are the job and rental scene like? I don't have much firsthand knowledge about the job market here, since I've been self-employed for years, and my husband has been at his job for 25 years. But from what I read and hear and know of Flagstaff, there are many more retail and service jobs (e.g., restaurant staff) than there are white collar types of jobs or others that pay higher salaries. The largest employers here would be the hospital, Northern Arizona University, Gore and Purina. As far as rent, while you may find something like a studio or one-bedroom for that price, most rentals here are considerably higher. A one bedroom is more likely to be in the $1000-1200 range, and two-bedroom apartments around $1200-1600. There are some new apartment complexes that have recently been built or are under construction, largely intended for students. You may have better luck finding the kind of rent you're looking for a little further from town, like in the Doney Park area. Best of luck with the move. Thinking of Moving to Flagstaff? Or Tell Me Where You Live and Something You Love About Your Home Town. Thanks for sharing that, Doris! Here's an early "welcome back!" I hope you'll enjoy living in Flagstaff again. Great article. I, like you, love Flagstaff. I lived there for several years from about 2003 to about 2010. 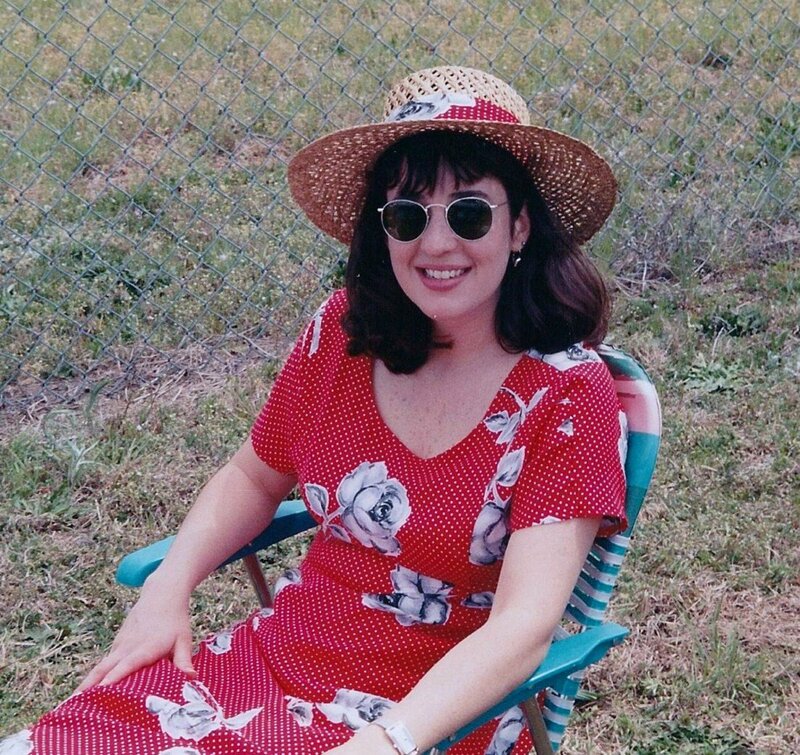 I cared for my mother there until she passed on in 2005. Then didn't want to leave until there was a family emergency and I had to leave. For most of my childhood, my mother always said, "I'm going to retire in Flagstaff". And she did and loved it and became very active in the community. I never knew anything about Flagstaff and couldn't understand why she'd want to retire in such a hot place! But after moving her there I realized why she loved it so much and I fell in love with it too. Right now I live in Milwaukee, Wisconsin. I don't even understand why I ended up here, but noe, like my mother, I want to retire there and plan to in 2020. Yes, I want to go back "Home" to Flagstaff where I belong. I always felt at peace there and if I ever got stressed, all I'd have to do is take a walk through the woods (which are everywhere!) or drive up the beautiful mountain road toward the ski slopes to a turnout with the most spectacular view, or take a drive to Sedona or Williams plus lots more and after that I was at peace again. Well, thank you so much for reminding me why I love Flagstaff so much. I'm looking forward to my move "back home" in 2020. Thanks. Wow! Flagstaff looks like a great place to live! Do you think there's room for another acupuncturist? How'z business in the winter? Do people still get around? Loved reading your article, thank you! I am also a New Englander...Exeter, NH. Tell me more! I'm 62 and just leaving education, but still want to work. Is living downtown an option? Is there a Unitarian church? So my husband and I are planning to relocate to Flagstaff depending on the job situation. I'm kind of nervous because we're from Hawaii and not sure if people there will accept us. Thanks for the info about Flagstaff! I've applied for job at NAU - and would be relocating from Connecticut. I'm from the Pacific NW though. Is it still as great as you write here? Hi, Carly. Sorry for the delay. I'm just now seeing your comment and questions. I would say Flagstaff has changed some in the past few years, but, in my opinion anyway, many of the changes have been for good. Specifically, I'm talking about some older buildings that were in disrepair being removed and replaced with new structures for business or residences. New businesses have been coming into the city, also. I don't know that the population has grown over the past few years, but construction has begun on some new developments. Some people consider that a good thing and, of course, some don't. All that said, Flagstaff really is a small city, not a town, so I don't know if it would have the small-town feeling you might be looking for. Have you spent time here lately? I would definitely recommend coming for a visit before making a final move and then trying to rent for a bit before buying. Sounds like you wouldn't have sticker shock by the real estate prices here, which may actually be a bit lower than what you're used to. For example, in our neighborhood, you can purchase a 3- or 4-bedroom home, in the range of 1,600-2,400 square feet, for high $300Ks or low $400Ks. These are new construction in one of those newer developments I mentioned. You probably wouldn't be too put off by the traffic, either, but it can sometimes be slow-going, even though Flagstaff itself isn't very large area-wise. 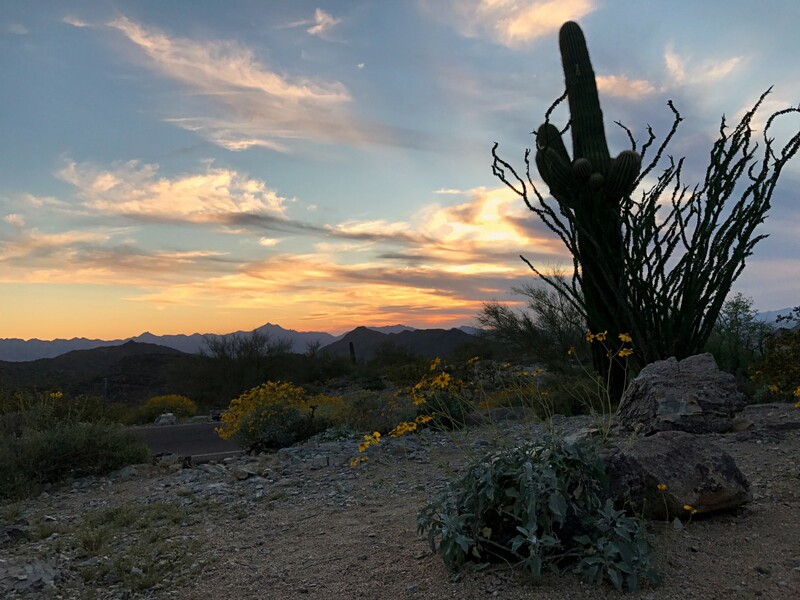 We are a college "town," so sometimes traffic around the university, which is close to downtown, and around the main commercial areas can be quite congested during peak times ... and also on weekends when people from the Phoenix area come up for "slow play." I can't really answer to the educational system, since we don't have kids and I personally never went to school here. But I do have a nieces and nephews who seem to be getting very good educations here and enjoy school. Overall, my husband and I love living here despite its flaws (as most places have) and plan to stay here for a long time to come, if not permanently. I hope that helps. Hello there. Thank you for your super informative article. My husband and I are considering transplanting in the next year from Seattle in hopes of finding a smaller outdoor community. The "pros" that you've listed include so much of what we are looking for (i.e outdoor activities, healthy cultural scene, college town, values sustainable living, smaller size, four seasons). I noticed this was posted in 2013. Would you say the town has changed much in the last 3 years? Do you see it trending towards being a bigger city? Or do you notice it's getting "discovered"? We are really hoping for a smaller community that is able to hold onto those cultural aspects that keep it special and feeling kind of like a small town. How is cost of living/home prices? (Keep in mind we are moving from Seattle haha so we are used to a 3bdrm, 2bath fixer upper costing $450,000). How is the education system? Is there much traffic? (Again, we are used to 24/7 traffic in Seattle). This article is SO helpful! I'm also an east coaster who will be moving to Flagstaff in August 2017. I can't wait! I REALLY want to move there! Planning a trip next year and then making a future plan to move!! Great article! I live in the Phoenix area and I am considering moving up to Flagstaff within the next few month. I loved the small town feel when I was there just a few days. I am from a small town of 6,000 and living in the valley isn't as good as fit as I thought it would be. I'm ready to get back to small town living yet still close enough I can get down to see my friends! Thanks for your comment. I've never been to Boulder, so I can't compare, but I do love living here in Flagstaff. While we're surrounded by National Forest and lots of open space, I've never felt isolated here. Flagstaff itself has pretty much everything I need and want in a town (well, small city really), and we're not really that far from places like Sedona (about 45 minutes) and the Phoenix metropolitan area (2.5 hours). I hope you'll have the chance to come for a visit and see what it's like. If you do, and if you're here for a first Friday of the month, First Friday Art Walk downtown is a lot of fun, especially during the summer. Lots of activities and music in addition to the art. Feel free to get in touch if you're planning a visit and have any questions. What a wonderful, well-written account of life in Flagstaff. I too was one of those unenlightened people who thought that Arizona was only palm trees and desert a la Phoenix/Tucson/Scottsdale. Pleasantly surprised to recently learn that northern part of state actually gets four seasons which I like. I currently live in PA with my husband and two boys but have been pining for a move West for years now like Colorado a lot, specifically Boulder, but think it may be too isolated for my taste. Hoping to come to Flagstaff this summer to explore a bit. Thanks for sharing your knowledge so intelligently. Thank you, Susan. That must have been a fun trip, following the route of Old Route 66. I've only driven pieces of what still exists of the "Mother Road," and there are some interesting things to see, old and new, along the way. I'm glad you liked Flagstaff. Being local, I've never stayed at Little America, but we always go over there around the holidays to see the wonderful light display. Loved this hub - I visited Flagstaff last year on my drive from one end of Route 66 to the other and it was my favourite place of the whole trip! I tell everyone! We stayed in the Little America Hotel for a couple of nights which is a dream of a place - lucky you to live there all year! Hi Monbell. I hope you'll enjoy living in Flagstaff and feel at home here. There's actually quite a large number of Mexicans and people of Mexican descent here -- a community within the community, you could say. So, I don't think you need be nervous. Flagstaff is quite the melting pot, with people from all over. Hi Brad. 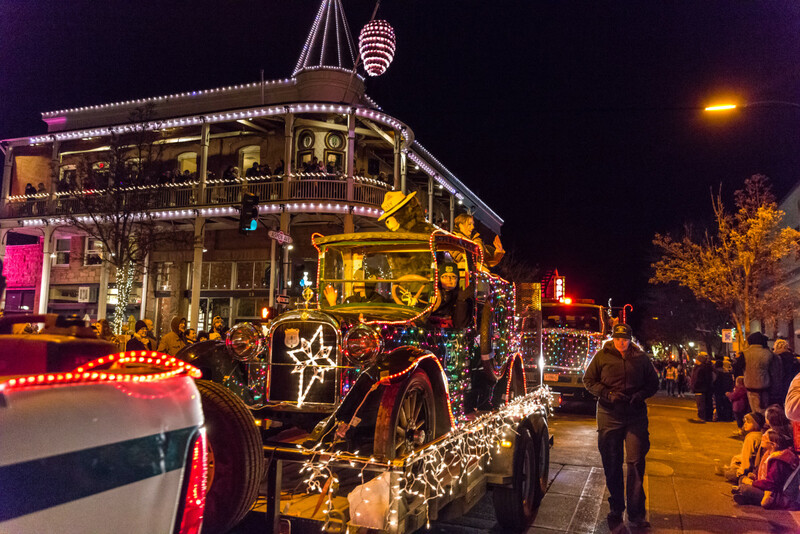 While Flagstaff is certainly part college town, it really is SO much more than that, and I consider it to be VERY family friendly. I don't have children myself, but many of my friends and other family members do, and I know there's no shortage of things to do and opportunities for kids and families as a whole. Having NAU here really contributes to the amount of cultural activities and events that are available, which would not be if it weren't for the college. In fact, I firmly believe that having NAU here is very much an asset to the entire community. While sometimes the traffic around the university is a little nutty at certain times (ie. weekends before classes resume each semester), I've never felt that Flagstaff was more about the students than it was -- or is -- about the community as a whole. I guess I'm not really sure how to respond to your question, except to say that, in my view, Flagstaff is extremely family-friendly. Maybe I could be more specific if I knew what types of things "count" as family-friendly or, vice versa make a place not family-friendly. I'm thinking of moving to Flagstaff with my wife and three young kids (7, 4, and 1). We're coming from Anchorage Alaska and we love the outdoors. My wife is worried that it's more of a college town and not a family friendly town. How would you respond to that? Loved your article. I'm a single mother of 4 and I inherited my grandfathers logged cabin last year in August. The home needs lots of renovations. The good thing is that this will be home no. 6 that I've renovated. I'm confident that I can do most of the work. I have decided to make the move up there with my little ones. My first visit I fell in love with Flagstaff. The snow has me hesitant since I'm coming from California. I can't wait ! Looks like an awesome city!! Thanks for sharing!! Sounds like the perfect place to live! You are very blessed indeed. Perhaps when we retire, we can retire in Flagstaff. It would be awesome! Wow, what a great place. That is a part of the country I haven't had the privilege of exploring yet, but I'd like to. Thanks for the helpful insights! Wow, what a refreshingly positive article about a great town that is usually bashed by negative people online. I've only visited Flag twice and I love it! I am planning to move there next year so that I can explore and enjoy every bit of it that you so beautifully pointed out. I truly enjoyed reading this and love your writing style. Thank you for the wonderful tour of Flagstaff! Patriotic feelings to the place you were born at is worth being praised. Great article! Looks like a great home town and yes, many reasons to like it!! 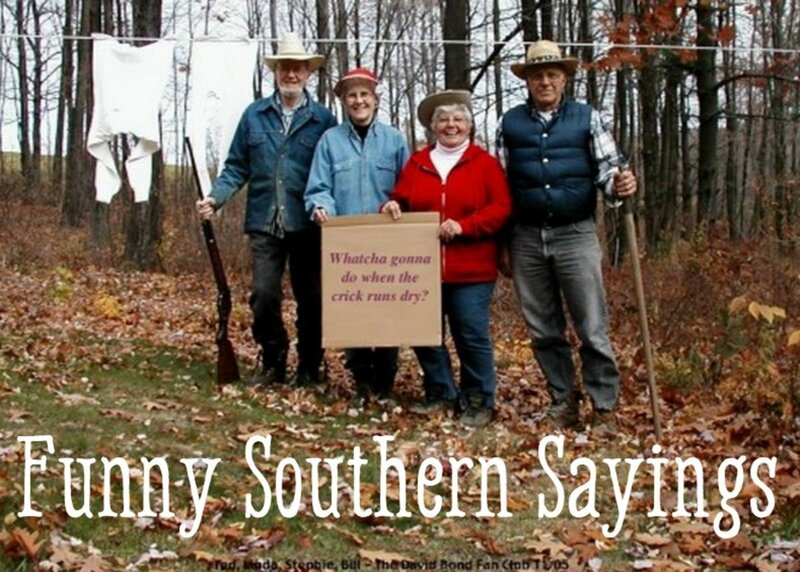 I can't really say the same for my "home town", sadly. My brother lives in Flagstaff and I have visited him several times. I was pleasantly surprised by the wonderful university community, good food and lovely surroundings. It is a great town. We just traveled through here on our way to the Grand Canyon. Lovely area.. I live in Phoenix and have traveled to Flagstaff for vacations and such. Very beautiful city! Not big on the snow in the winter, but definitely a nice little getaway from the heat! Great lens! I used to live in Flagstaff and miss it so much. Such an amazing town and I visit every chance i get. I love your lens! I visited Flagstaff a long time ago when I went to visit a friend from Phoenix. It is everything you say and more. The golfing is great, too! Brings back great memories. Thanks. Hey neighbor! I am just down the road a piece from you up there! We make the loop each spring and fall, through "Flag" then down the Oak Creek Canyon, through Sedona then back up home. We always pick a different place to each in Flag as there are so many neat little places to stop. I will be thinking of you in January when the snow falls! No, I'm not moving. I like my own hometown of Denver. It goes without saying it shares many of the features of Flagstaff. Great lens. I think I'd enjoy the benefits of living in the Flagstaff area. I'd sure like to know about the Himalayan restaurant! I have eaten in a lot of neat places in town, but I never knew this restaurant exists. I'd like to know what kind of food the people eat, too. This is a wonderfully informative lens! Congratulations on being highlighted on Imminent! I never thought of Arizona as having forests -- pictured it all as desert. Thanks for enlightening me.